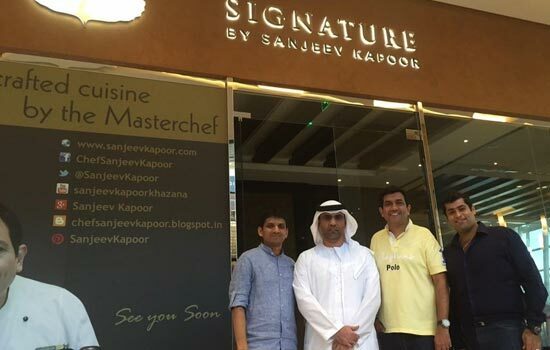 Experience celebrity Chef Sanjeev Kapoor's new venue in town. 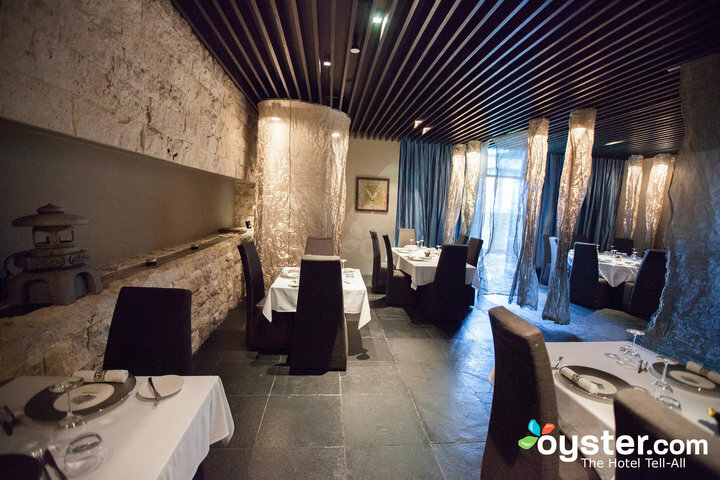 Located on the ground level of the hotel, this stunning restaurant delivers a traditional yet inventive cuisine that combines authentic Indian specialties and innovative gastronomy. 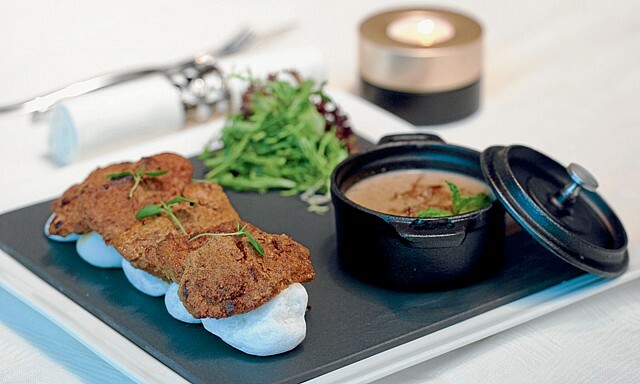 Dishes steeped in tradition are transformed by innovative combinations and modern presentations. Rated I was invited for a tasting here, for their new menu launch along with a meet and greet session with Sanjeev Kapoor. Being a huge fan of his, I had to be a part of it! We were welcomed with glass of bubbly and watermelon mocktail right at the entrance. 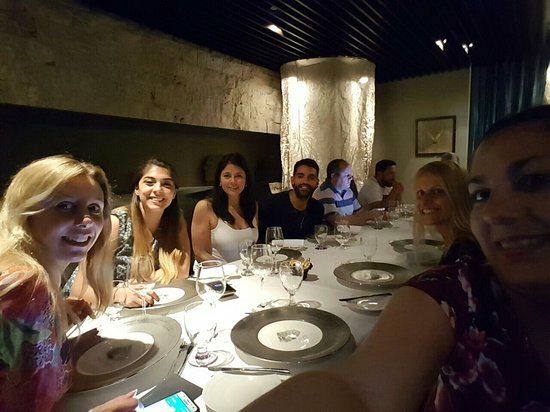 They had arranged the tables differently that night to make it easier for people to mingle around. We took a table, and were served with the starters broccolia and cherry tomato popcorn , new age baby corn cracker, mascarpone cheese dahi wada and hummus ki gilawat amongst veg. 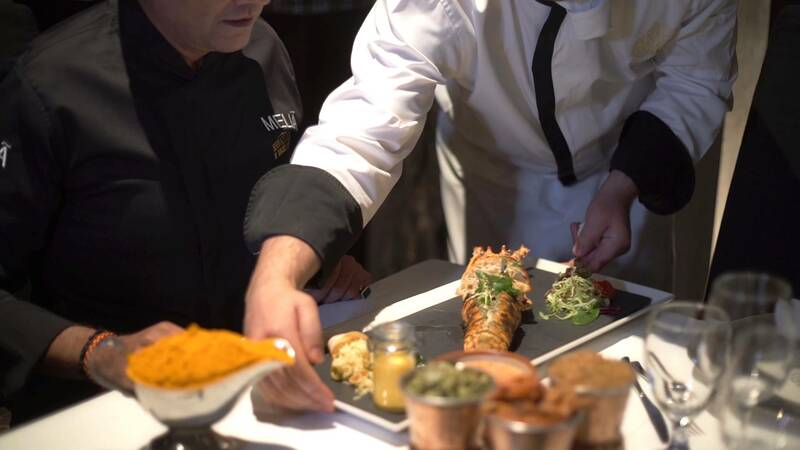 The non veg dishes include dori wali seekh with ulta tawa paratha, basil flavored stuffed chicken breast, chicken tikka ki gilawat, corn flakes crusted sous vied prawn. The food was based on the molecular gastronomy which is quite in trend these days. The dishes were simple yet presented beautifully. I really fancied the chicken tikka and dahi wada. Absolute must-haves! For the main course I had soya methi bharta with paratha - was really tasty. But the lamb biryani was a show stealer! My friend liked dal makhani and veg biryani. For desserts there was a huge variety ranging from fruits to off-beat dishes like baked yogurt, chocolate papdi (puri covered in chocolate) amrakhand charcoal rasmalai, saffron poached pears with reduced milk balloon and lychee blast. I liked the charcoal rasmalai the best. The food was quite delicious, and the entire event experience was even better. Rated Visited this place for the first time to try out some Indian fine dining. I must say... Didn't disappoint at all. We stuck with the starters.. The veg Aksharmala and the peppery prawns. Both were just awesome. Presentation was lovely each item in the Aksharmala had a unique tinge to it. Prawns cooked to perfection with the masala just right and gladly not overpowering the taste of the prawn (as many other places make the mistake of) Waiter recommendations are really helpful in choosing our food. 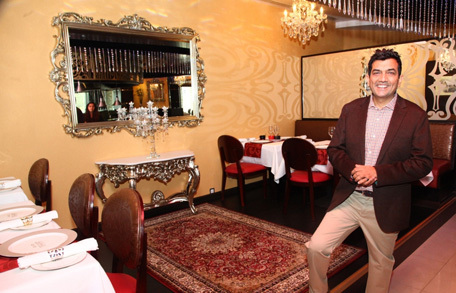 Last but not least, the ambience matches the cuisine. An all round fine dining experience. Worth a return visit. Rated Visited for Lunch with Office Colleagues. Had called prior to book a table to celebrate our Boss's Birthday and requested a usual complimentary cake at the end of meal. The staff advised they could not arrange as it was a short notice, however I felt here the Chef & the service team could be innovative enough to walk an extra mile to dazzle. :( We ordered paani poori, patrani chaat, panner tikka & chicken galouti, the first three were too good however the last one was a lousy preparation with oil dripping from all corners & the chicken carried no flavor at all. It was briefed to the service team but no apology was offered nor the chef visited our table. The main dish was the chicken tikka curry which was ordered with a pair of Garlic naans which was cooked to order. To finish with the Charcoal Rasmalai was super presented but it tasted like a normal rasmalai no uniqueness in the taste. Again I was told that they would do something special if we order a dessert to surprise my boss, however the server missed out :(:(:( since they were unable to arrange a cake. Lastly, the staff looked tired & hassled with no presence of hostess OR a Manager. Have visited the place last time during dinner which had a much better service staff members. The above are expected for the price we are paying aren't we? 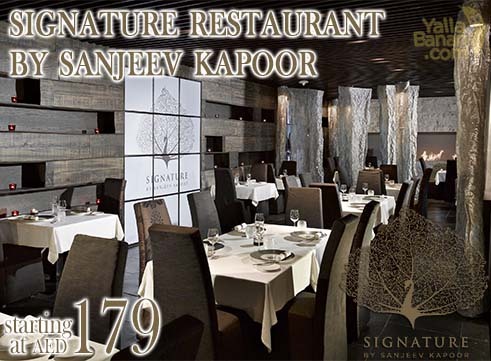 Rated After ITC bukhara this is the second place im giving a 5 on 5 rating. Right from entering the restraunt to exiting it ...it was all a very pleasant and good experience. 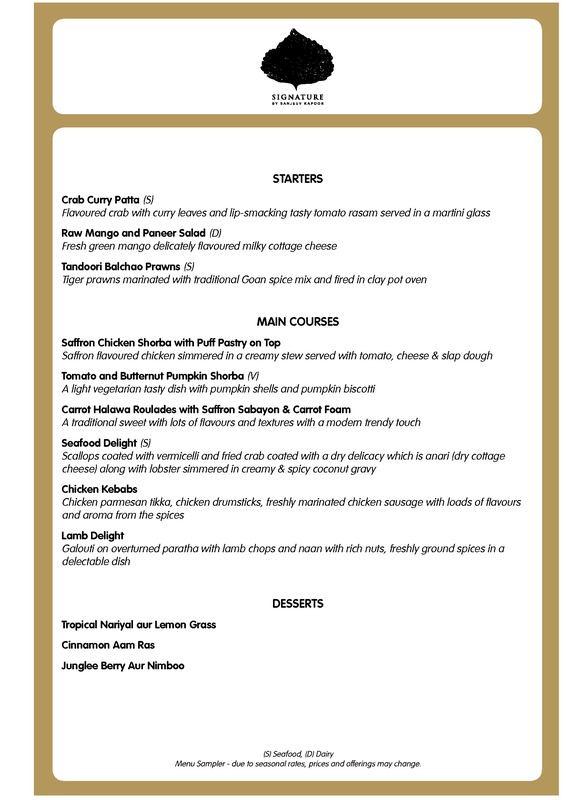 Starting with the menu- is very well sort with extensive veg and non veg collection of dishes on the menu. Food exhibits innovation. What i loved was the little surprises they give u in between like the melon ball which blasts refreshness in your mouth and the lemon ball which clears your toungue to get prepared for yet another delicious experience. We ordered honey mustard puffs (akka golgappe) with twist of mango shooter which was very nice. In drinks we ordered kokum masacola ( fabulous) and panna ( amazing) in starters we ordered the stuffed potato and paneer ( both the dishes had diff name thou) but both were nice. In main course we ordered double dum subz and laal masa daal ( my mouth is still watering writing this) and butter naan and onion potato kulcha. Sorry could not take a photo of these dishes as i was busy eating :) 5 on ambience, 5 on taste, 5 on service. Shanu really helped us navigate our way through the menu and end up with lovely dishes and was sweet enough to pack some achar for us too. Thanks I personally loved the little chutneys and achar which accompanies the dishes all over and the special baby onions which dont look like onions. This was definitely an amazing fine dine experience. Rated Great gorgeous and obviously the awesome restaurant to have an Indian fine dine.... My most loved place to visit in here is this place. . The delicious tasty Food gonna make you fall in love with it's gorgeous smell and delicious tasty and obviously the prettiest presentation ????????. . . The delicious tasty biryani in here will surely make fell like you are the luckiest human on Earth to taste it.. . My most recommended place for family as well as for friends to give a try to this place if you near to here..